A Brief Guide to Building Your Own Loughborough Home. A Brief Guide to Building Your Own Loughborough Home in 2017. 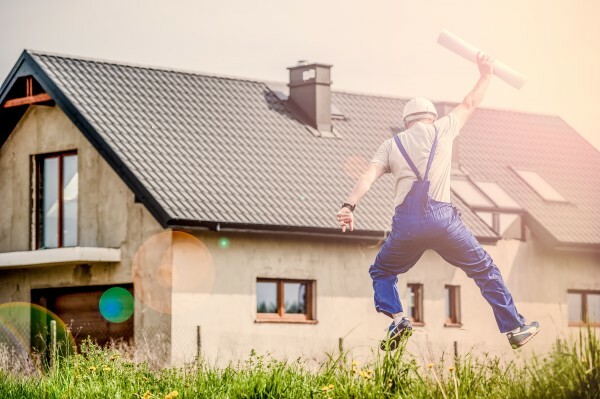 To many it might seem like a daunting prospect, but when handled right, there are so many benefits to building your own home. If it’s something you are considering and are wondering where to start, then we have put together a brief guide to building your own Loughborough home in 2017. The main secret to success is all in the good planning. You don’t even have to be handy with a trowel and cement mixer yourself, because, get the right people in for the job from the start and you should ensure it’s all nicely covered. Before a single brick is laid, you must make sure everything you need, such as planning permission, a self-build mortgage and professionally designed plans have all been approved. You should also have secured the plot of land you’re going to build on and done your research on the local area so you know it’s going to be convenient for your own personal needs, such as offering access to good schools, public transport etc. When you’ve made the decision to build your own home, it pays to begin the planning process with the professionals from the very start. A good building firm can advise on everything you will need from the initial planning and design stages, through the build itself, all the way to the fixtures and fittings at the end. This means that, not only will you reduce the stress of project managing the whole build yourself, but you won’t have the worry of employing a variety of different people to cover all the tasks. Work out your budget and stick to it throughout the project. Carefully plan the type of home, size and materials with an architect. Research the area and make sure your dream home doesn’t already exist on the market. Buy the land you need and get planning permission. Get a self-build mortgage (these are different from the standard ones). Make sure you have the right insurance for your building site. Ensure the water, gas and electricity mains are all properly connected. Hire a building firm that can have all of the above covered and will ensure everything is done properly and at the right time. Why Should You Build Your Home? Buying land, building materials and labour can be cheaper than buying a home that’s already built. You can plan all the features to suit your specific tastes and needs. At Marlow Building we can help with a whole building project from start to finish, including the concept, planning, design, build and finishing touches. You can have as much or as little involvement as you would like throughout the building of your dream home, but one thing you can be sure of is that, with all our years of experience put to great use, you’re going to love the service you receive. Choose the right local builder when building your own home and get in touch with us today. This entry was posted in News on April 5, 2017 by Lindsay Marlow.